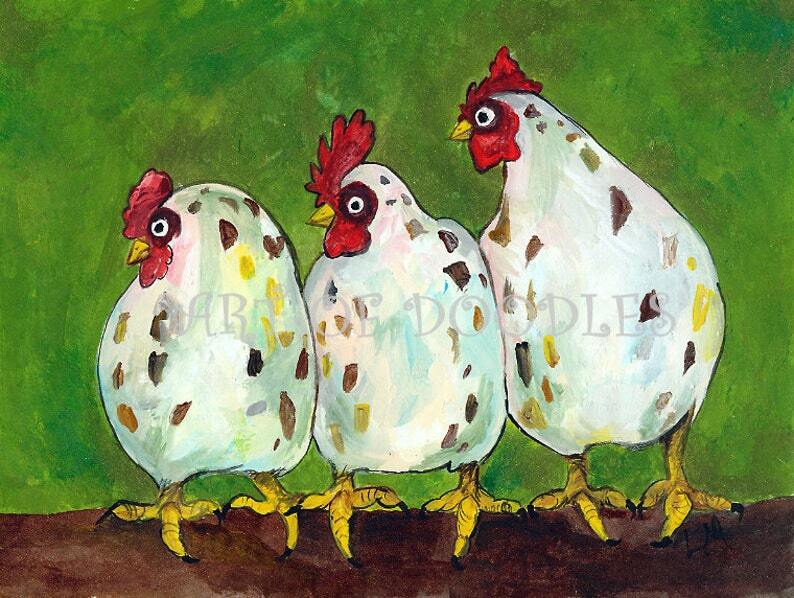 Three chickens art print size 8"x10" ready for you to matte and frame. Comes on matte finish archival photo paper. The original painting was done with metallic acrylic and regular acrylic paints. I did a start to finish you tube video for the original painting linked here: (https://www.youtube.com/watch?v=MkJB8YrGiJ8).